Hello! I am glad you are looking into our website - my name is Scott Stewart and I am a dentist in Lakewood, Colorado. My practice - South Lakewood Dental - is the third love of my life - God is first, my wife is second! Dentistry is what I've always wanted to do! When I started practicing in the 80's, I started out with the basics every dental student is given. Over the years, as I gained experience and skill, I began to realize that the scope of possibilities beyond that basic level was enormous! Indeed, the progress and new technology in dentistry is amazing - but there was still something missing! Until recently, dentistry focused on the head and neck and mainly with issues of the mouth - teeth, gums, etc. But how can this be? There is no "gate" between the head and the rest of the body! Could it be that problems of the mouth are maybe related to issues somewhere else in the body? The concept of "total body" was illustrated in full force to me when I undertook to lower my blood pressure, control my cholesterol, and take charge of my health without pharmaceuticals - just the right kind of food - and the results were profound and incredible! When the body is in balance and all systems are working harmoniously, the body is capable of healing and maintaining itself. The body is "smart" - it is we humans who get in the way! Western medicine is focused on treating "symptoms". Holistic practice - both medical and dental - is focused on understanding the underlying problem and then working to help the "whole" body regain essential balance. Granted, there are situations which call for the benefits that pharmaceuticals can provide, however, this should be the exception rather than the rule and the pros and cons should be carefully considered. Back to dentistry and how I have changed my thinking. Take decay for instance - it has long been thought that decay happened because a person ate too much sugar. It just ain't so! Decay happens when the environment of the mouth becomes so persistently acidic that the teeth actually dissolve! So where does the acid come from? From bacteria that live in the mouth and produce acid! How do they get there? They have always been there, but certain circumstances allow them to grow out of control! Like smoking, prescription and recreational drugs, imbalances or disease in other areas of the body, all these things and more have a profound effect on your saliva and its ability to neutralize your mouth! There is no point in restoring teeth if the underlying problem isn't corrected first! So my approach to treating decay is a wider scope approach and we have been able to get people out of that "cavities every time I see a dentist" cycle and maintain them! Now that's awesome dentistry! I could go on and on - in fact, if you want to hear more, come on in and let's talk! I am committed to taking my practice in a direction that focuses on getting the "whole person" healthier and I have connected with other health professionals who think the same way. I am ready to hear what you have to say about your dental health issues and what you want to do about them! For now, browse through my website and get an idea of what we are doing! I work "with" my patients - not "on" them - it's your health and body, you are in control! I can't say enough about the 'extensive' dentistry Dr. Stewart performed for me! 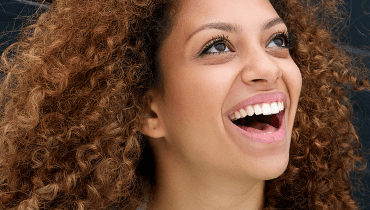 Dr. Stewart was able to make the procedures I needed affordable for me and I was able to go forward and get my mouth and smile restored for my lifetime. 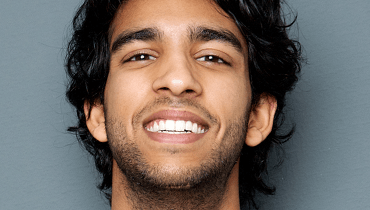 What does it mean to see a holistic dentist in Lakewood?